ANAHEIM, Calif., May 14, 2018 / MouseMingle/ — MouseMingle, the dating site for Disney, Star Wars, Pixar, and Marvel fans, has brought another couple together for a magical marriage. MouseMingle.com connects fans around the world who are looking for meaningful relationships with others who love all things Disney. The most recent couple to be wed is Heather Lash and Tony DAiuto, now of Tampa, Florida. 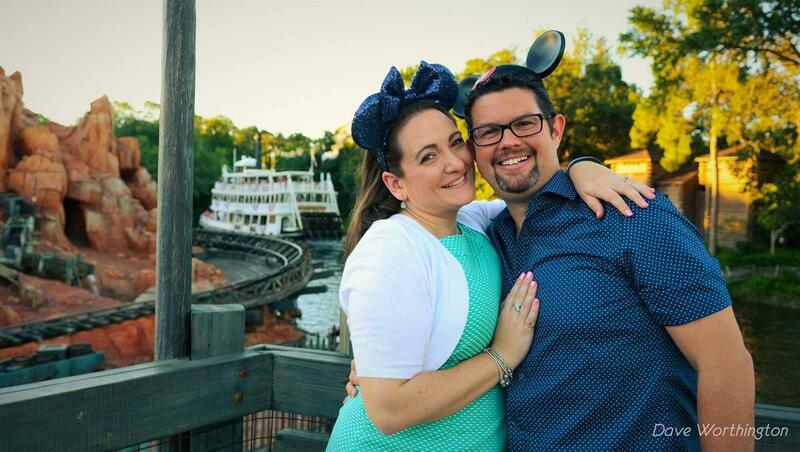 Heather, a dual citizen of Australia and the United States, winked at Tony on the popular dating site for Disney fans, in the hopes of finding a “Park Pal” during her week long visit to Walt Disney World. The wink turned into messages, which moved to phone calls, and eventually video calls while she was still in her hometown of Sydney, Australia. Tony was just getting back into the dating world when his friends and family started telling him about MouseMingle. “They were enthusiastically telling me, THIS is where you need to be looking for somebody.” Tony said he liked creating his profile because it was different; “I had FUN answering these questions”, because you don’t normally get asked what your favorite Disney movie or attractions are on other sites. What began as search for someone to hang out at the Parks, turned into something magical. The couple was married on January 24, 2018 at Walt Disney World, but only recently contacted MouseMingle to share the news. “You’re part of our lives. We wouldn’t be together if weren’t for MouseMingle.” said Tony, just a few days before the newlyweds headed over to Australia for their honeymoon.